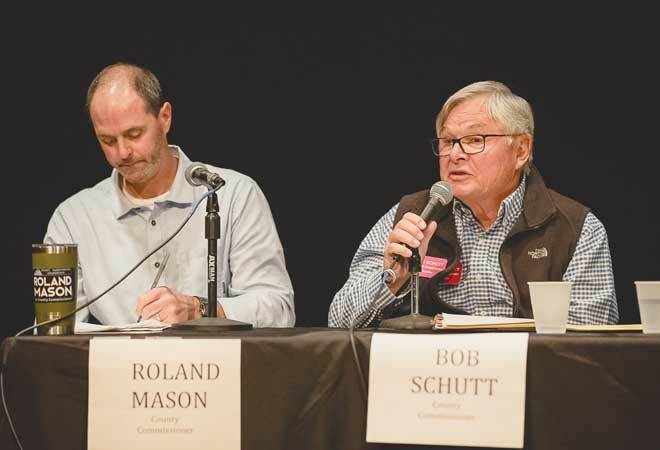 District 3 county commissioner candidates Bob Schutt and Roland Mason took the stage at the Crested Butte News Candidates’ Forum last Sunday and fielded a broad range of topics, from affordable housing to public lands. Members of the approximately 100-person audience took to the mic to ask questions important to them, and both candidates were in the hot seat. The candidates are vying for commissioner Phil Chamberland’s seat; Chamberland is not running for re-election. The candidates must reside north of Round Mountain and represent the north end of the Gunnison Valley. Both candidates spoke to the experience they’re bringing to the table. Schutt spoke to his business leadership and education, including managing a budget comparable to the county budget. 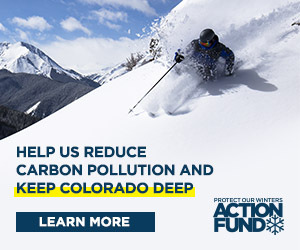 Mason reiterated being a “homegrown” candidate, and spoke to his eight years on the Crested Butte Town Council, and his time on the RTA board of directors. The topic the candidates disagreed on most obviously was ballot measure 6A, which proposes a 1.5 mill increase to property tax, to create a dedicated source of funding for affordable housing through the Gunnison Valley Regional Housing Authority. In terms of affordable housing in general, both candidates agreed infrastructure was needed to support the community at both ends of the valley, including transportation. Mason listed multiple affordable housing projects that are under way, and also said he liked how Crested Butte’s Rainbow Park project was conducted and hoped to borrow that extensive public process for a county pre-Land Use Resolution (LUR). Schutt, on the other hand, focused on pointing out the issues faced by those in the valley—long winters, lack of decent jobs, high housing costs, etc.—and emphasized the need for affordable housing valley-wide that matched the character of the valley. The Corner at Brush Creek was discussed, and both commissioners stated they believed water would be the deciding factor on the project size. Schutt reiterated his position on the project, including the need to set aside five acres for intercept parking and ball fields, a maximum of 130 units, and a need for the project to fit with the neighborhood. Mason stated he is comfortable with 180 units. Water came up again, when Betty Barkman asked if water would be a stipulation in the LUR process for new development. Both candidates agreed they would like to see water discussed earlier in the LUR process. Moderator Dennis Hall asked if either candidate was comfortable with the county spending $100,000 for new tracking software for the Gunnison/Crested Butte Tourism Association (TA), which will be used for marketing purposes. Both candidates felt comfortable with the expenditure. Schutt noted, “We have to not be a dinosaur in what we do.” Schutt also spoke to his desire to see the TA diversify their marketing to bring in a broad range of tourists, including for music, culinary attractions and weddings. Mason spoke to his fascination with, and fear of, software that can use cell phones as tracking devices, but felt comfortable with the purchase. Ballots have been mailed out, and must be returned by Election Day, November 6 (postmarked date does not count). You may mail your ballot or bring it into the Blackstock building in Gunnison, or drop your ballot at Queen of All Saints Parish Hall in Crested Butte, or the Fred Field Western Heritage Center in Gunnison during polling hours. In-person polls are also available; locations and date and times are available online at gunnisoncounty.org/136/elections-office.